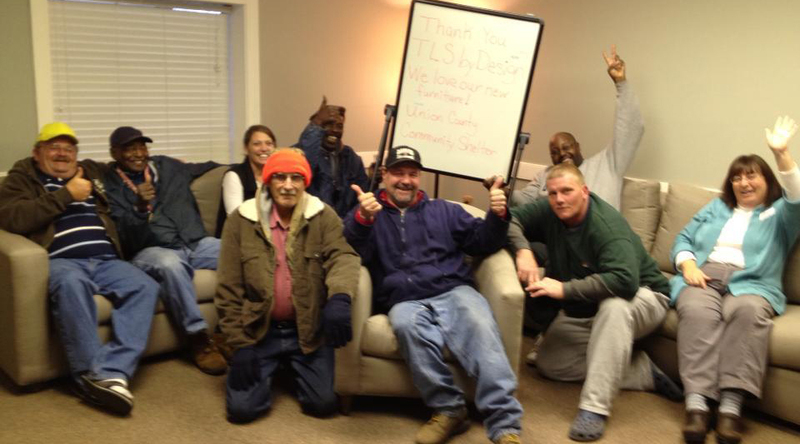 The Union County Community Shelter operates an Adult Emergency Shelter for the homeless population of Union County. The Emergency Shelter is reserved for those truly experiencing homelessness. Currently, we have dorm space for 20 men and 8 women. Shelter guests should be drug and alcohol free and be free of all weapons. All participants must be civil and adhere to Shelter policies, including participating in chores as instructed. Emergency Shelter guests check in between 6:30 p.m. and 8:30 p.m. and may be assigned a cot for sleeping. A nightly shower is required upon entry, and all guests are allowed a limited amount of baggage. Because our current facility is very cramped, guests must leave the property each day after breakfast. Case management services are provided for all clients at the Emergency Shelter with those showing active progress receiving priority. Case management activities include: resources to work toward employment, budgeting, savings, community referrals to address physical and mental health issues and life skills instruction. Clients must participate in these services to remain in the program and satisfactorily show progress toward their independent living goals, while awaiting rapid rehousing opportunities. Guest stays are limited and will be reviewed with each guest upon entry. While living at the Community Shelter, clients have access to three meals daily and other supportive services. Unwillingness to participate in case management services or inappropriate behavior can be grounds for dismissal. Absolutely no illegal drugs, alcohol or weapons are allowed on site. There are a limited number of adult male and adult female beds for this program. Families with children apply for the Family Emergency Housing Program. As we are a small, private agency funded by local Union County donations, we can only serve residents who lived in Union County prior to their homelessness. Out of county and out of state referrals are not accepted.